According to a Tesla vehicle inventory data website, Tesla is installing a system called Hardware 3 (HW3) in its cars that will enable “Full Self-Driving” capabilities. 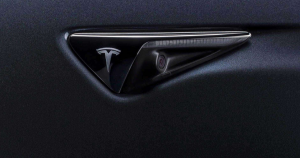 Tesla news site Teslarati made the discovery — which could represent a major step up from the latest iteration of the company’s Autopilot feature. Hardware 3 is supposed to finally make Tesla cars fully “self-driving” — what exactly that means is not entirely clear yet. What we do know is that the new chip will greatly improve performance Teslarati reports, allowing the onboard computer to make far more calculations per second, helping it to get better at things like scanning the areas around it and making critical decisions. The news comes after new dashcam footage last week showed Tesla Model 3, with Autopilot switched on, veering towards a highway divider — and it’s not the first evidence of that kind of Autopilot behavior. CEO Elon Musk promised in a October 2018 tweet that the new chip would only require a “replacement of the Autopilot computer” and “will be done free of charge for those who ordered full self-driving.” In February, Musk promised that Tesla cars “will be able to find you in a parking lot, pick you up and take you all the way to your destination without an intervention, this year” in a podcast. But so far, all the Autopilot feature allows is for drivers to take their hands off the steering wheel for a short period of time on highways, make lane changes, transition from one freeway to another, and exit the freeway. It can also park itself, or be summoned from a garage — all depending on which Autopilot package the customer ends up choosing. When the new hardware and its updated software capabilities will roll out to future and current Tesla owners is uncertain. But it’s bound to take a while — it’ll be a complex process for U.S. regulators to approve any significant self-driving updates. The post Tesla Is Now Building Cars With Hardware For “Full Self-Driving” appeared first on Futurism.